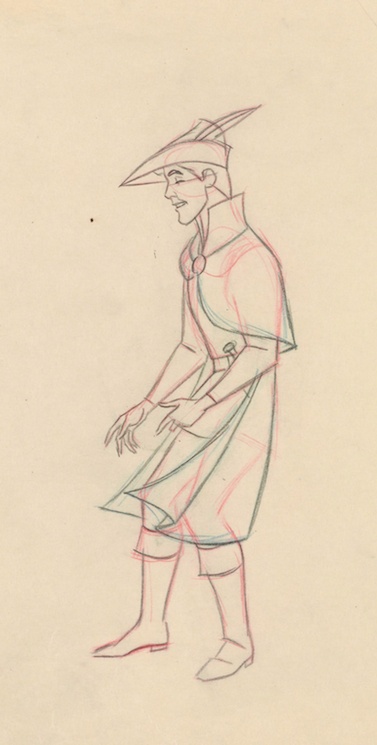 As I said before, Milt Kahl despised an assignment like a Prince character. As a young animator on Snow White he animated complex scenes involving all the forest animals surrounding the title character. "But I also got stuck with the clean up job on the Prince" he stated in an interview. The fact is that Milt drew over tracings of photo stats and therefor is credited with animating the Prince as well. 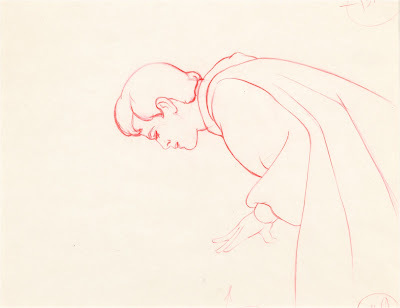 In the drawing below Milt only focused on defining the Prince's head, the overall roto tracings were done by an assistant. 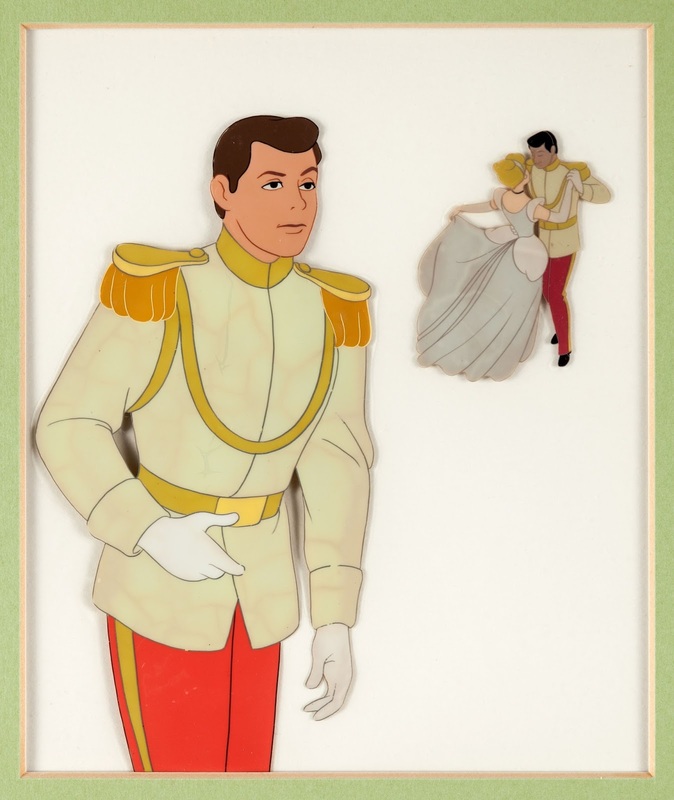 To my knowledge, Milt had nothing to do with Prince Charming in Cinderella. He was animated by Eric Larson, who confessed to some of us newcomers that he felt kind of embarrassed about the stiffness in his performance. 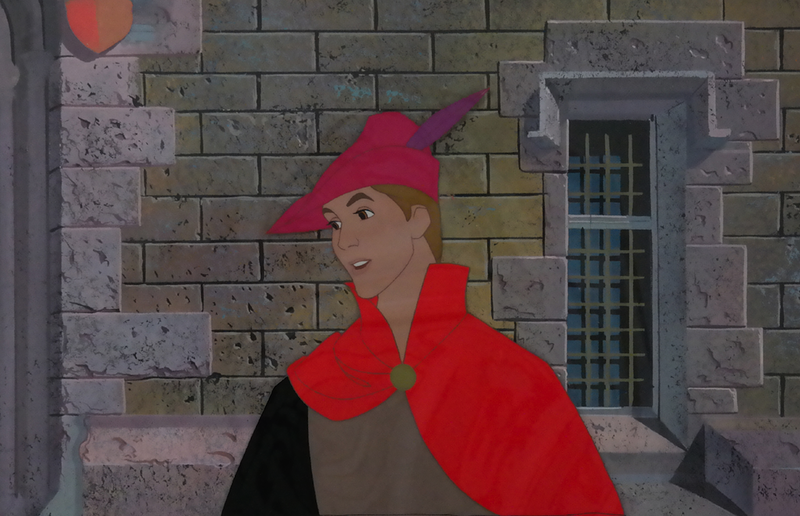 Milt ended up designing Prince Phillip for Sleeping Beauty, and he animated all of his personality scenes. This prince had a little more screen time as well as potential for better acting than his predecessors. 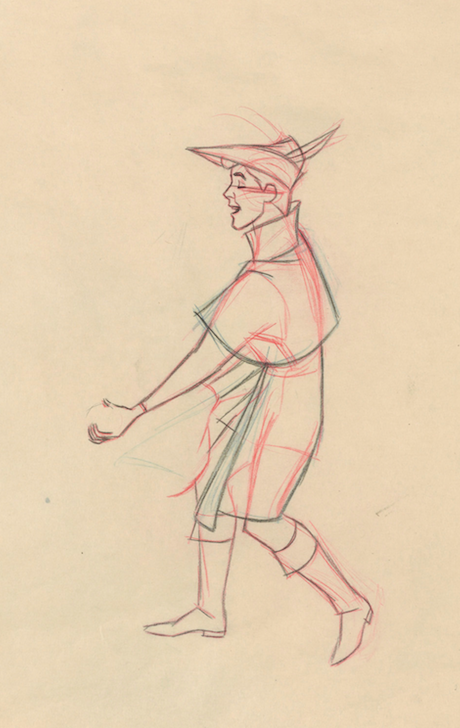 It is amazing to see how clean his "rough" animation drawings are. 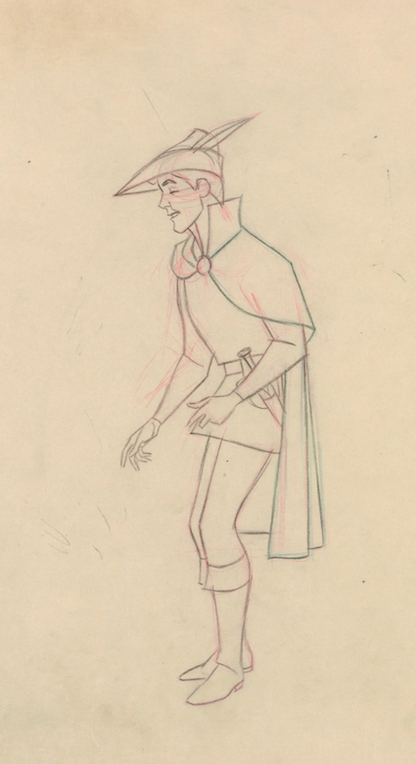 The cel inkers could have worked off Milt's fine lines, but the Disney system at that time still had clean up artists trace these already precise drawings on to a new sheet of paper. The action scenes were handled by other animators like Ken Hultgren. But Milt felt he still needed a hand in the final depiction of Phillip, as the great drawing below demonstrates. One of very few close up scenes given to Prince Phillip.